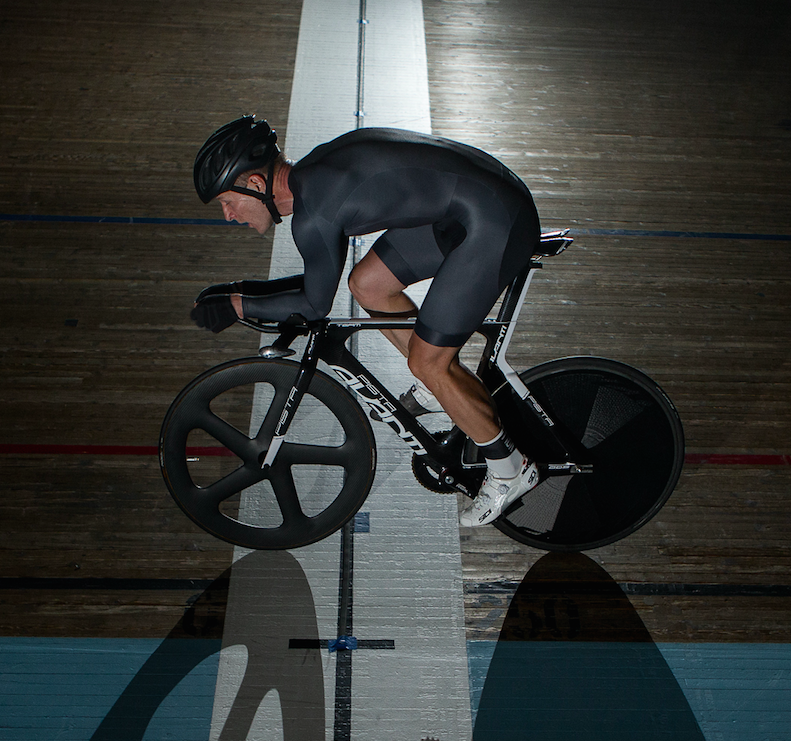 Form and function for your TT or track performance. CHRONOS is a completely reworked version of our “DENMARK” suit that was designed for the Danish Track Masters team. CHRONOS is designed to make you go faster. Airflow is the keyword. Long sleeves. No pockets. CHRONOS is constructed from a new medium-weight fabric that has increased aero qualities due to its smooth surface. Due to its density the material has higher compression, offering muscle support and further reducing drag. CHRONOS is designed to hug your body tight, creating the most aerodynamic profile possible. The word that best describes the new fit is aggressive. The understated graphics make CHRONOS a versatile companion for training and competition – on boards and tarmac. Medium weight high-stretch aero fabric. Legs feature raw edge cuffs with Silicone Lycra print for secure fit. Anatomical pad features a vibration-absorbing high-density open cell foam – developed in collaboration with Politecnico di Milano – for maximum comfort. For a tight aero fit, order a size bigger than your FIBR jersey. For a super tight, aggressive fit order same size as your FIBR jersey.